现在主要是 ENCODE计划的GENCODE 21. 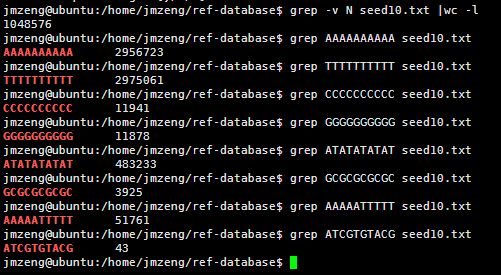 和 耶鲁大学的Ensembl genome release 79. - Data: The current human pseudogene annotation is in GENCODE 21. .
- Description: The GENCODE annotation of pseudogenes contains models that have been created by the Human and Vertebrate Analysis and Annotation (HAVANA) team, an expert manual annotation team at the Wellcome Trust Sanger Institute. 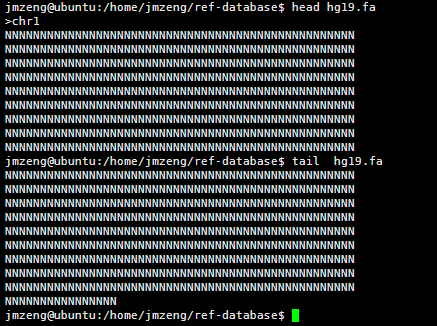 This is informed by, and checked against, computational pseudogene predictions by thePseudoPipe and RetroFinder pipelines. 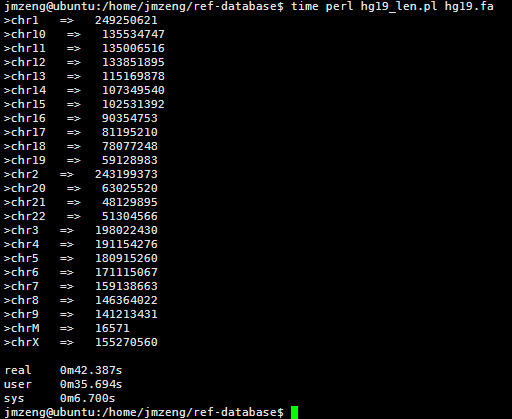 - Data: The current PseudoPipe results are on Ensembl genome release 79. .
- Description: Genome-wide human pseudogene annotation predicted by PseudoPipe. PseudoPipe is a homology-based computational pipeline that searches a mammalian genome and identifies pseudogene sequences. - Description: Archived pseudogene annotation on previous human genome releases from PseudoPipe. Genome-wide annotation or specific subset. Here we describe the Cancer Cell Line Encyclopedia (CCLE): a compilation of gene expression, chromosomal copy number, and massively parallel sequencing data from 947 human cancer cell lines. The mutational status of >1,600 genes was determined by targeted massively parallel sequencing, followed by removal of variants likely to be germline events . 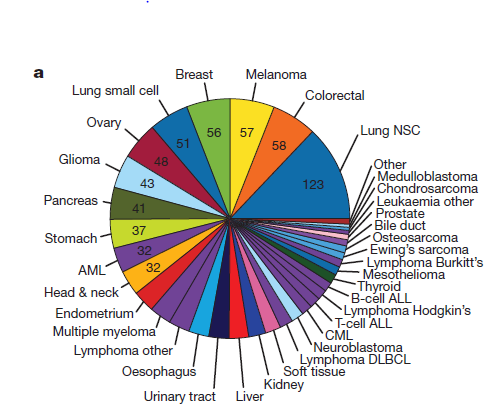 Moreover, 392 recurrent mutations affecting 33 known cancer genes were assessed by mass spectrometric genotyping13 . DNA copy number was measured using high-density single nucleotide polymorphism arrays (Affymetrix SNP 6.0; Supplementary Methods). 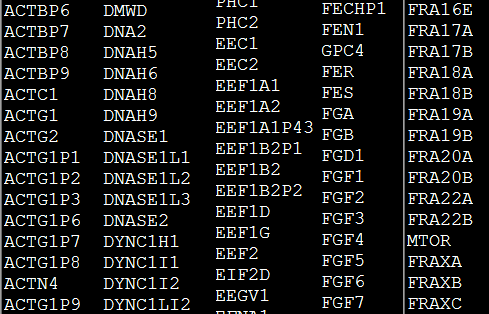 Finally, mRNA expression levels were obtained for each of the lines using Affymetrix U133 plus 2.0 arrays. These data were also used to confirm cell line identities . 1035 sets of genes with high or low expression in each cell line relative to other cell lines from the CCLE Cell Line Gene Expression Profiles dataset. Mar 2006 assembly = hg18 = NCBI36. May 2004 assembly = hg17 = NCBI35.